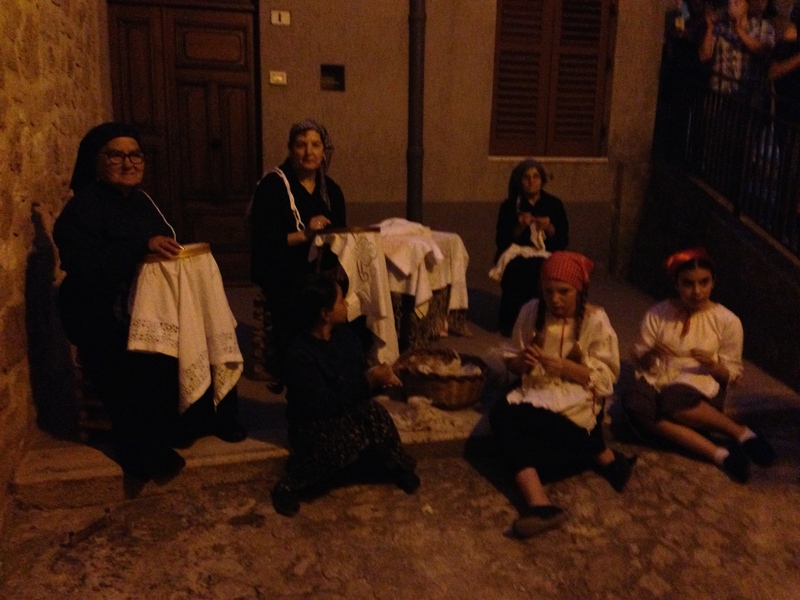 During the event held in Gangi, Sicily, Memorie e Tradizioni, Memories and Traditions, visitors to the town had a chance to take a ninety minute guided tour through town, in the evening, and view reenactments of the traditional practices of everyday life inSicilian villages in the past. 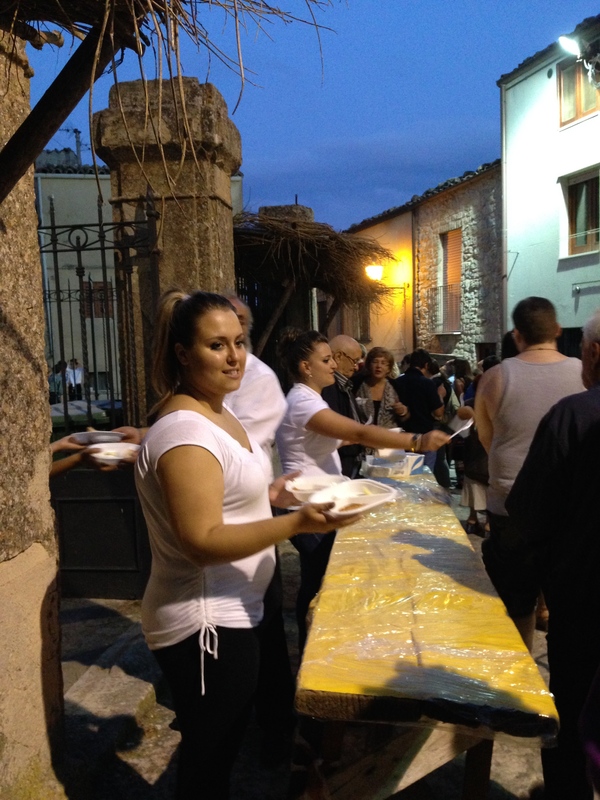 Along the way, traditional food was served for all those participating in the event. Walking along the streets of the village, participants encountered visiting stations set up to show the various artisans that would have been living in the village in the past, groups performing traditional dances, and at one point, visitors stopped to view a short performance presented by a narrator. 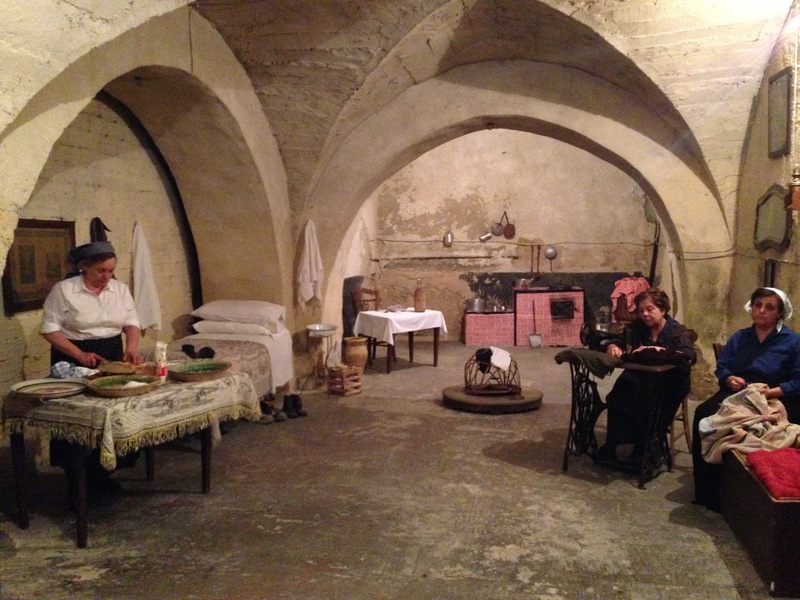 The topic of the performance was a recurring reality of life Sicilian culture in the past; the topic, “a fuitina”, “elope”, portrayed a young girl and her loved one who had eloped one year earlier. Now, the couple was returning for the first time to seek acceptance by the parents, especially the father of the bride. Traditionally, many young couples would elope to escape the will of the Father of the bride who would have preferred to set up a prearranged marriage for the daughter with a man she did not love or even know at all. 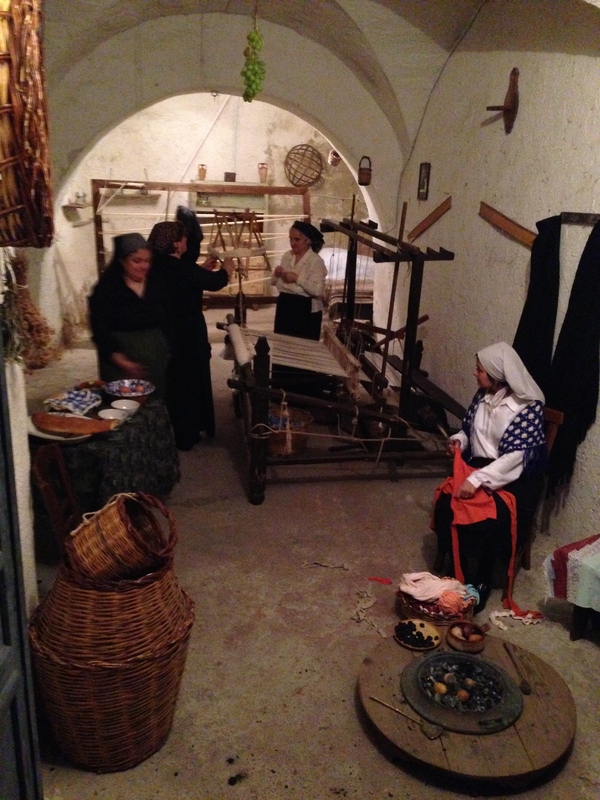 Following are some scenes from the Memorie e Tradizioni event in Gangi. 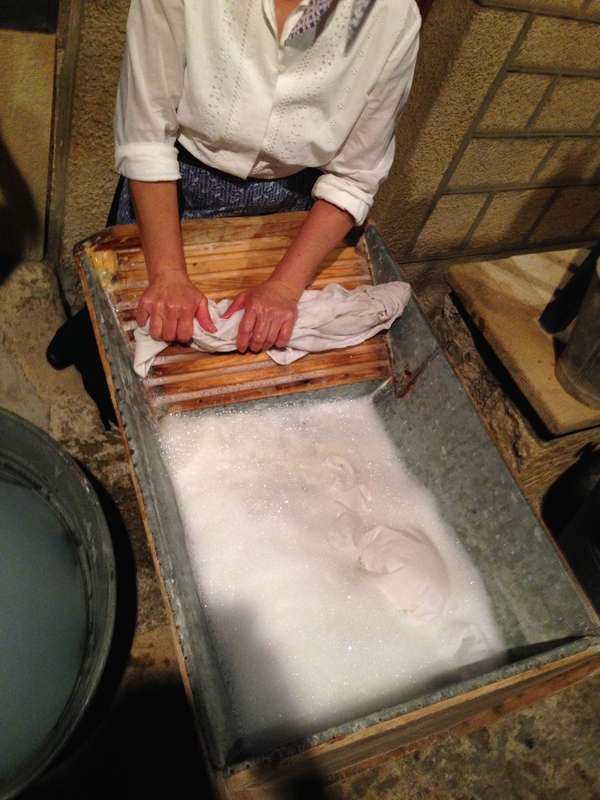 Traditionally, when laundry was hand washed, to brighten the white linens a process would be followed in which after washing the piece it would be soaked in water containing ashes – the ashes acted as a natural bleaching process! 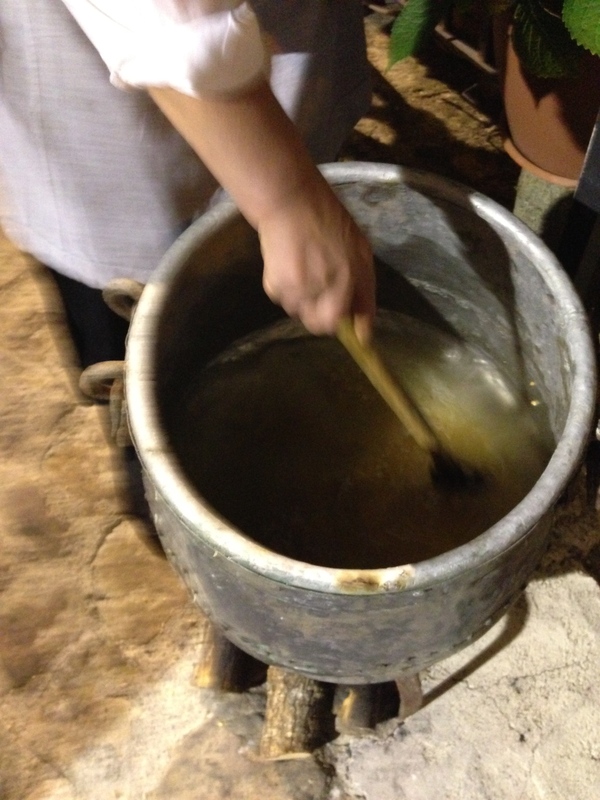 A CUCCIA was a type of custard made from wheat. 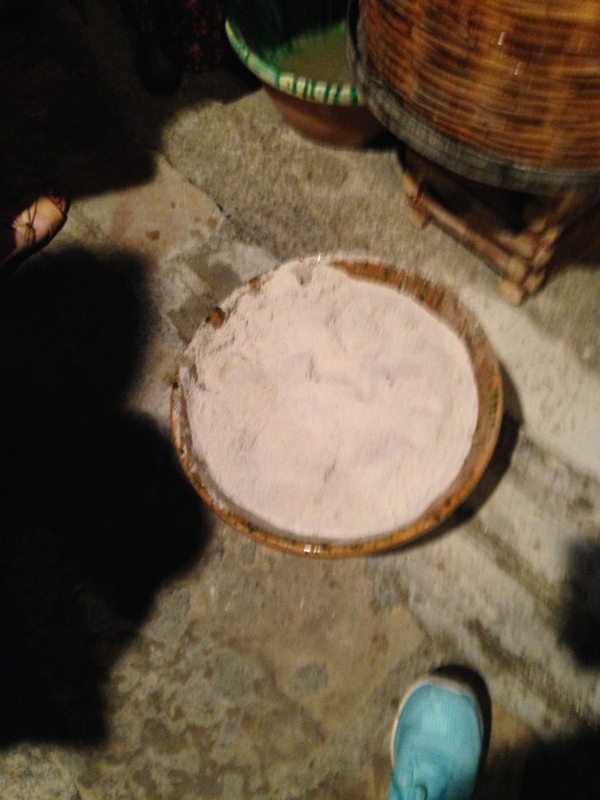 It was explained that is was invented accidentally after some wheat got wet and to avoid having to dispose of it the process of making A CUCCIA was created. During the guided tour, I joined a group from the University of Iowa. 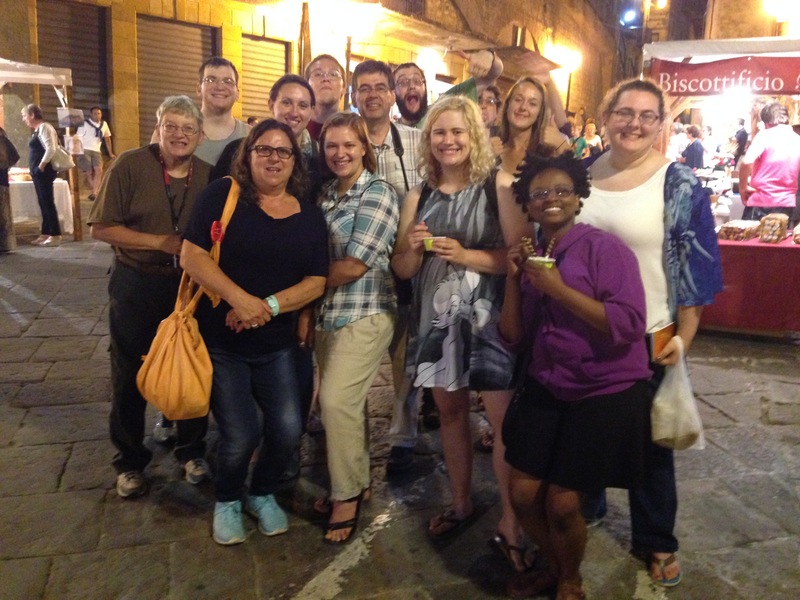 Prof. Glenn and his fourteen students were working at an archeological site in the area and it was my pleasure to join them during the tour and translate from Sicilian dialect and Italian into English. We had a great time!!! 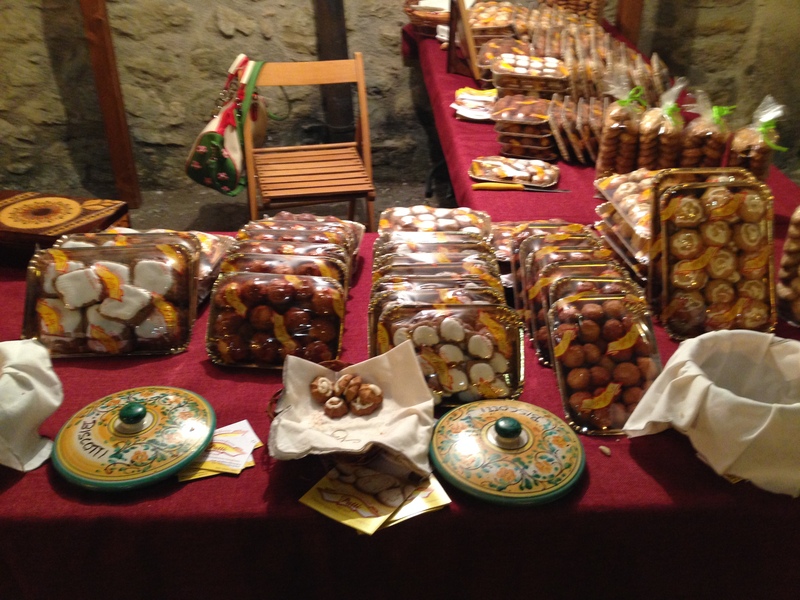 After the event, there were vendors selling their goods from cheese to cookies to olive oil. After the tour, I sat down and conversed with many of those who live and work in this are. 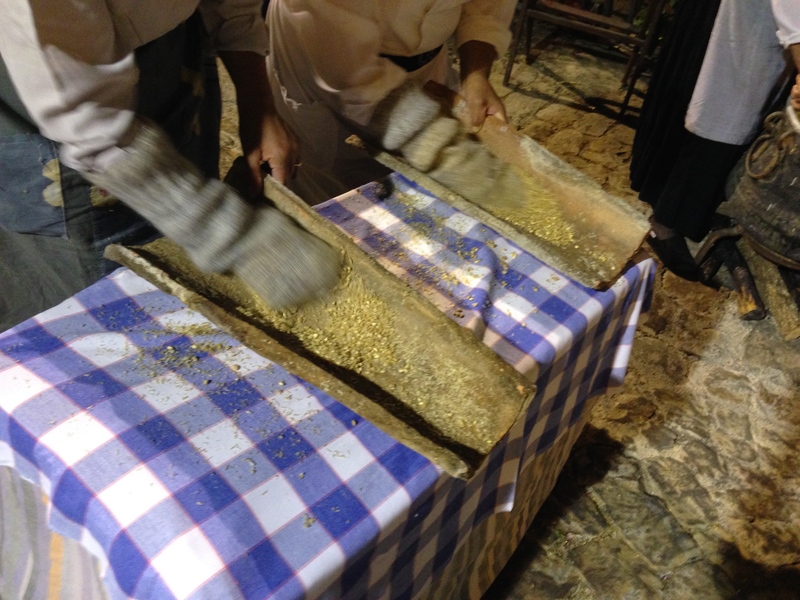 Among others, I spoke with the olive oil producers, Giuseppe Gioimo and Rosa Laplena and once again had a chance to realize the great pride that is felt in practicing old traditions, in this particular case, in the olive oil production. 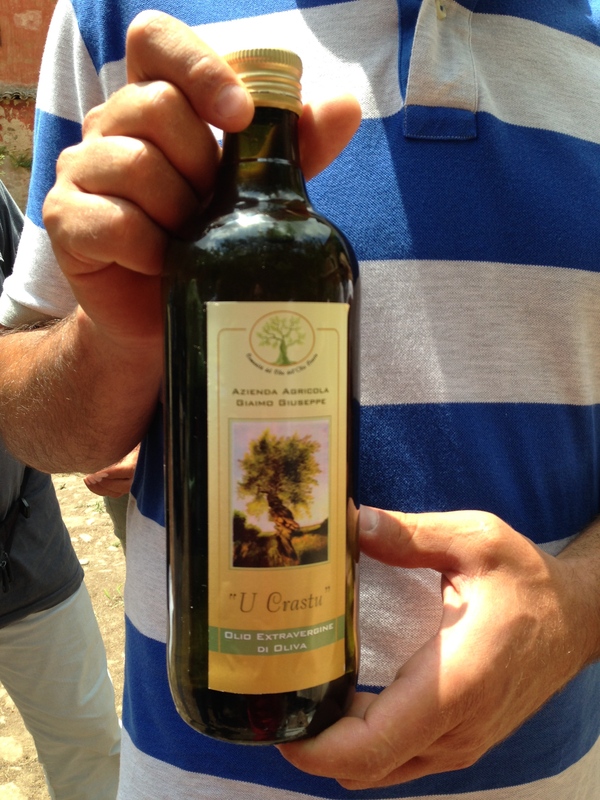 At the event, Giuseppe was presenting the olive oil, “u crastu”. 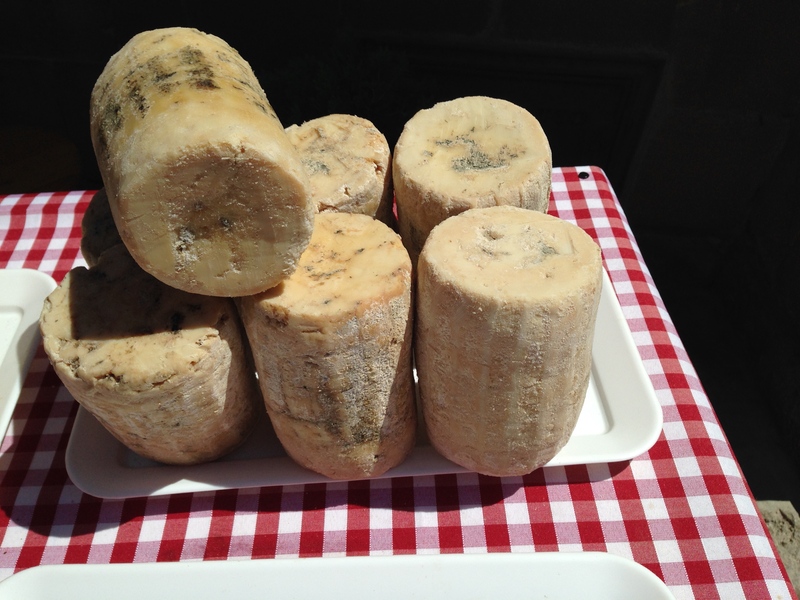 The u crastu olive cultivar is native to the Madonie basin close to Gangi and there are trees that date back 500 years. Giuseppe is carrying on a family tradition and now “U crastu” olive oil is part of Slow Food as it follows the Slow Food principles of a product that is good, clean and fair. To quote Giuseppe, the “u crastu” olive oil identifies its territory. 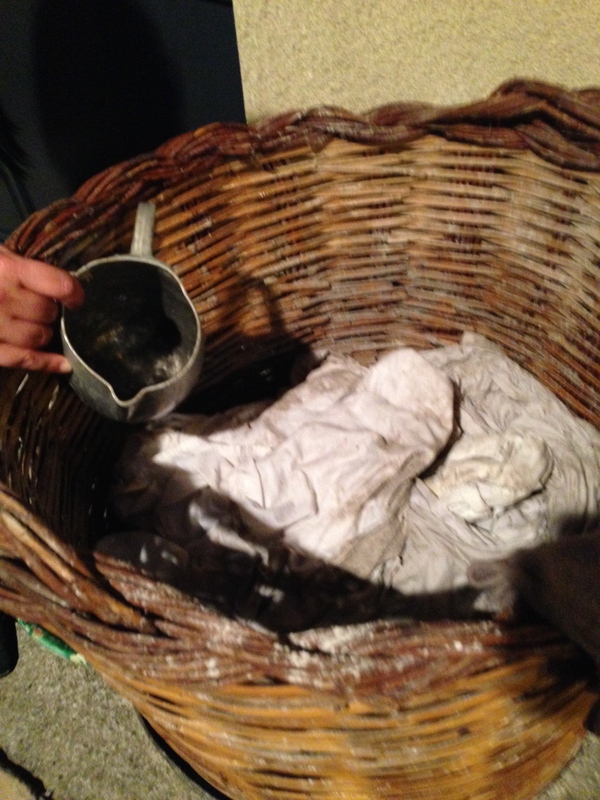 It is clean, because it abides to the natural process of the olive plant, with no interventions as pesticides. 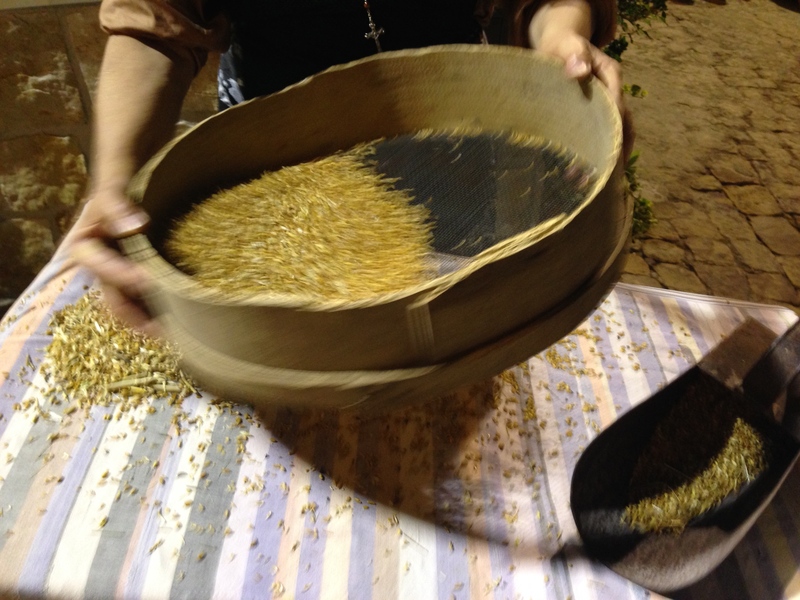 The olives are picked manually and great care is taken in the whole process from care of the land to final product. While we were talking, Giuseppe shared some photos of his olive groves. 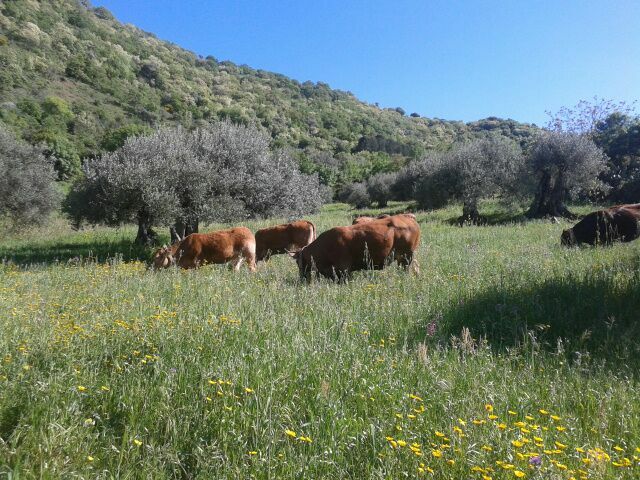 Below are photos of the olive groves and the owner’s cows roaming freely on the land. 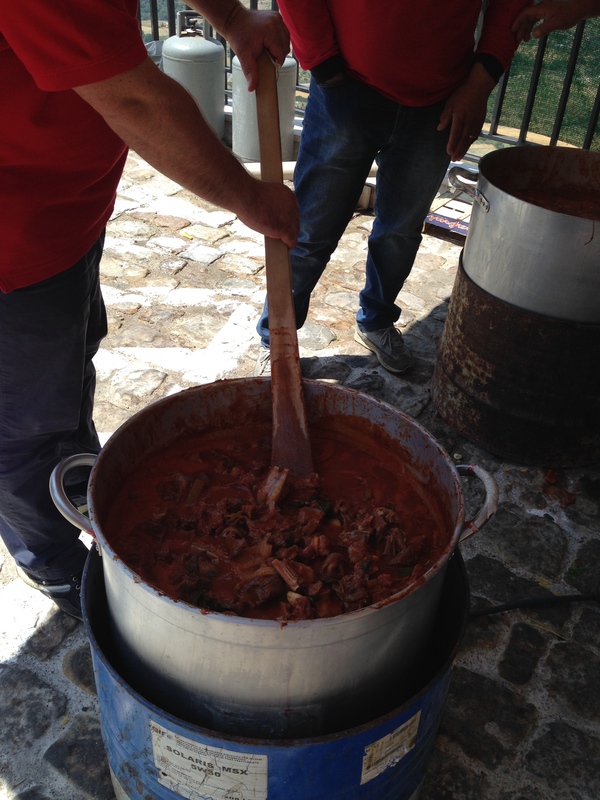 One of the dishes that were presented at the event was mutton, which was cooked slowly for hours. 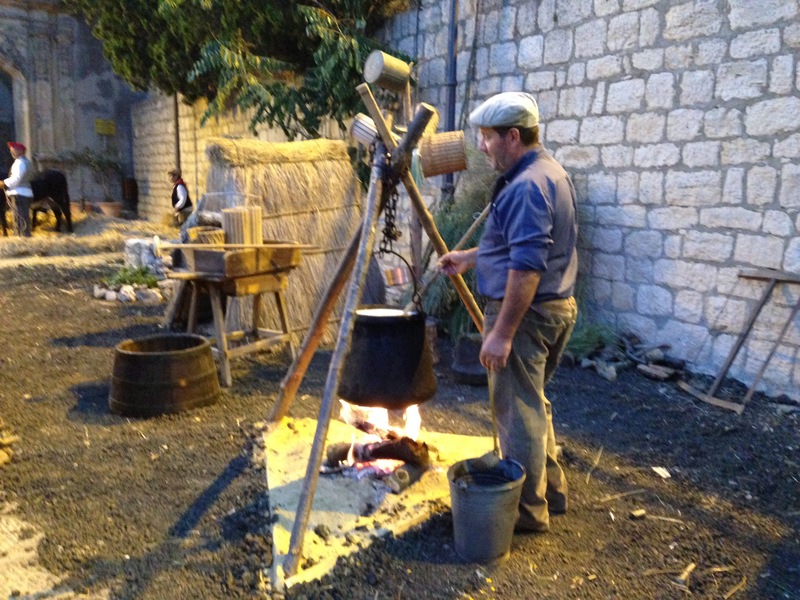 The following morning during a walk through town, I encountered the cooks who were cooking the mutton to be served to the visitors that would participate at the event that following evening. 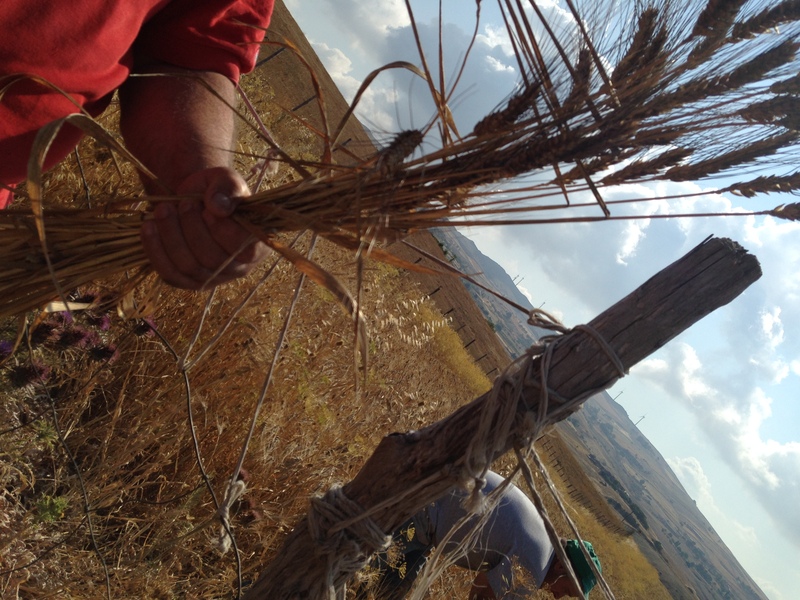 Finally, Carmelo Giunta offered many a sample of the Nero Madonita wheat native to this region shown in the picture below. Bella mia commare. Grazie belle foto. Molto suggestivo tutte queste tradizioni riportate molto bene sul tuo blog. These traditions are beautiful. And so are the photos. 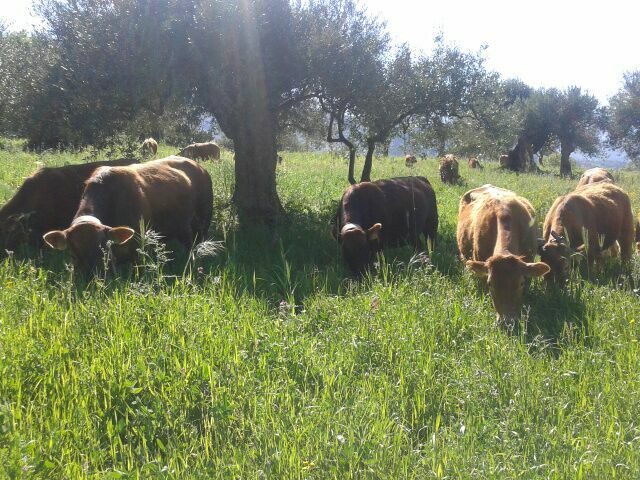 I loved the cows grazing in the olive grove. I agree. 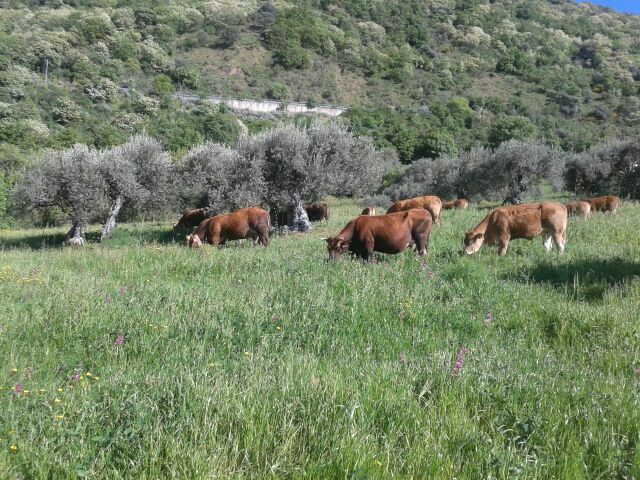 I love the cows grazing in the olive grove, too! Grazie per aver fatto conoscere le tradizioni del nostro bel paese madonita. Ti ringrazio a nome di mio padre e dei gangitani 🙂 . 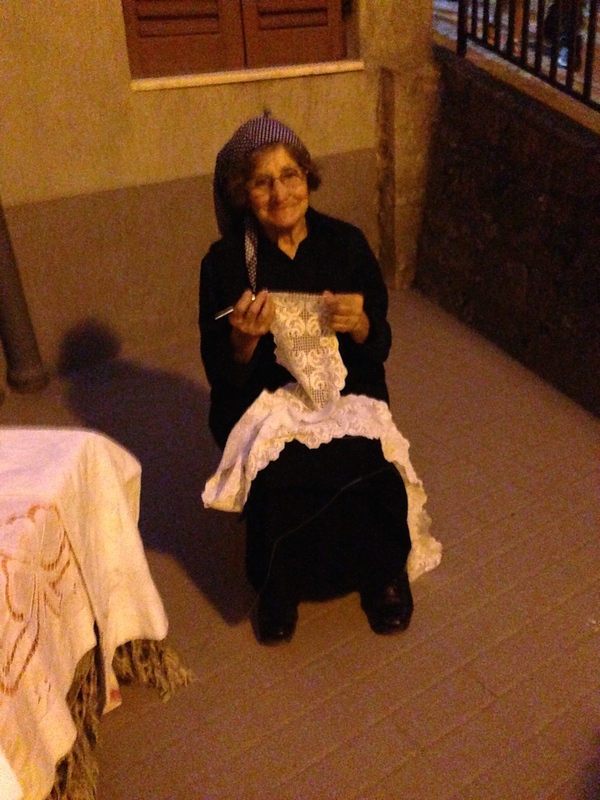 E’ stato un piacere condividere le tradizioni del vostro bel paese madonita.